Each week we gather around a single word, set a timer, and free write for five minutes flat. Sound like fun? Learn more about how the link up works here. 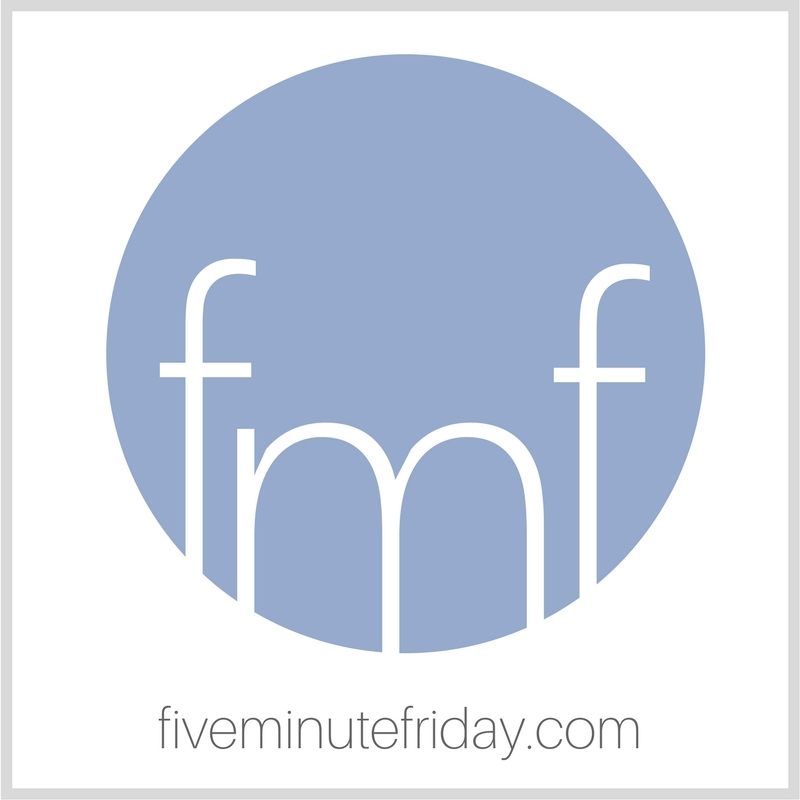 Join the @5minutefriday writing community as we write on the prompt, ONE. So this morning I started reading the book, The ONE Thing: The Surprisingly Simple Truth Behind Extraordinary Results. Have you read it? My husband has been trying to get me to read this book for about a year. He says it will help me with my business. So, I finally sat down and decided to tackle one chapter a day. Except this morning I read two. Ouch. This guy knows me. Have you figured out what your ONE THING is in life? I’m definitely in the “spread too thin” category myself. But as I think about all of my commitments and responsibilities, there really is only one that matters: to love the Lord my God with all my heart, soul, mind, and strength. Have I chosen the one thing necessary? Or am I anxious and troubled about many things? Head over to Instagram before 8pm EST on Saturday, November 17th, 2018 to enter for a chance to win ALL FOUR of the books pictured above! Looks like an interesting book, and a concept that can work. Doesn’t work for me, though; at least now now. My success, my goals and ambitions, they’re kind of meaningless now. My job is to offer support to my wife, care for my dogs, and encouragement to my friends and readers. There are those who say that, like Paul, I’m being poured out like a libation. Don’t know if I stand in that exalted company, but being poured out means being spread this, and instead of one thing I do, it’s all about the many things I can still give. The fires in California have made me think about the one thing I would take with me (and the One thing that matters, but that maybe I don’t act like there’s any urgency about). Of course a Sunday School chorus came to mind and then my Grandpa who was the one who led the singing and the one I never write about so today I did! This was a great prompt this week! But then … they always are 🙂 My one thing – to love Him and others well. I finally have it narrowed down. May you have a blessed Thanksgiving! Amen, Joanne! Thanks for being here and sharing! With out the one who came in my life and forgave me of my sins and saved me I would me nothing. He is the one who sarafie His life for me.He that live in my heart,soul and mind. I love this book! I read it awhile ago and wanted to buy it for myself, but keep putting it off, thinking I don’t need to own every good book (true). But you’ve reminded me that it’s one I’d like to read and loan to others every so often. It’s so true and needed in our “multi-tasking” culture. And yes, I’m naturally a “Martha”, so I appreciate your reminder that although I believe the things she was doing were good, we need our focus to be on the most important thing. Thanks for encouraging us to stay on track! I’ve read the book, too, and boy, did it ever hit home!!! That’s sounds really great Kate! I am reading some Henri Nouwen books right now and he emphasizes focusing on that one thing to which you were called. It’s so hard because it demands letting go of our agendas. Thanks for sharing the book! I so have to get that one and start reading! Blessings to you, Kate! I haven’t heard of the book BUT I can see the principles embedded in the text are exactly what committed people need to read and implement. While on the road to recovery from my accident, I read the book SoulKeeping by John Ortberg. It made me realize how frazzled I had become trying to be everything to everyone – until I could do nothing for anyone, including myself. Thank you for all you do, Kate. I celebrate you.